You may have seen a teeny tiny thing on the internet recently. The 10 year challenge. People are sharing what they looked like 10 years ago and comparing it to now and I am loving it. It got me thinking, ok my appearance has definitely changed since I was 18, but what about my style? I’ve always loved fashion and clothes. As long as I remember, I’ve wanted to wear my own style and stand out from the crowd. It will definitely be interesting to look back and see if my style has changed all that much. 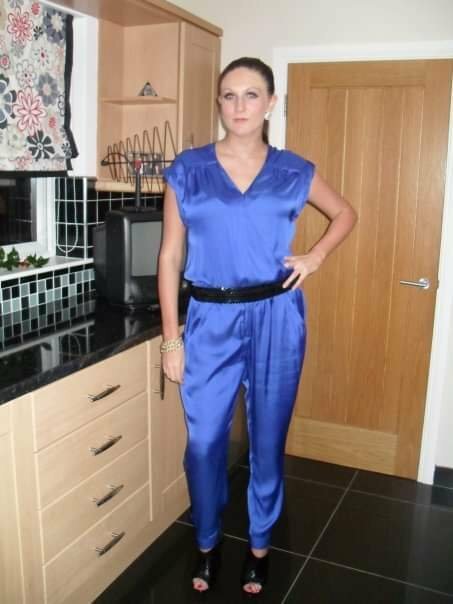 This blue jumpsuit I think was from Primark and cost something little like £3! I was always a bargain lover. I 100% would wear this now with a blazer and court shoes. That belt and those shoe boots would be in the bin. Haha. Again, another Primark number. Velvet dresses were pretty big this year and I think I had a few. I also think the tights that I’m wearing were the fake suspender ones! Who remembers those? Would wear the dress. Would chuck the tights. Velvet again. In skirt form this time. Plain enough outfit but those tights were my favourite accessory. I wore them with everything. I would rock those tights every day. This was my favourite dress from this year. I got this in Topshop for my birthday night out. Big 22! Fun fact. This was also the night I met Andy. Would not wear. Mainly because I’m not 22 any more. The ASOS wiggle dress. Honestly the most flattering dress I think I’ve ever owned. They came in so many styles and prints. Loved this dress and it’s nautical vibes. Would wear. Wish I never sold it. Clearly I have always been a massive fan of a Teddy Coat. I got this one in George. (Where I worked at the time). I honestly think I wore it every day that winter. Apart from the hair, it’s like looking at me in 2019. What was with my ankle boot obsession? This playsuit (fun fact) ripped on a night out and I had to borrow an outfit from a friend. For fear of it ripping, I would not wear this now. If I had that tan and glow, then yes. I’m cheating a bit here as I have this dress in my wardrobe still. This was £13 in Primark, and I think my shoes were the same. Would wear the dress but maybe not with the heels. Ahhhhh this dream of a dress from And Other Stories was a NYC sale purchase, and will continue to be one of my favourite pieces. Still love this dress. Will pull it out this Spring. I don’t believe that my style has changed that much in the past 10 years. Of course I’ve had the occasional fashion faux pas (including the time when I thought I was Avril Lavigne), but in general I’ve had a pretty eclectic style my whole life. Id love to see your 10 Year Style Challenge. If you share on Social Media, tag me so I can see.